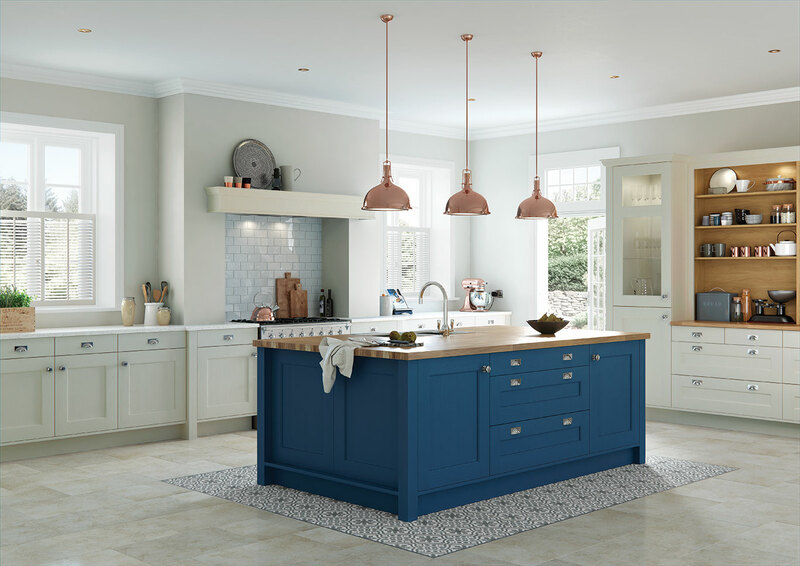 Characterised by its noticeable wood grain and the moulding surround the centre panel, Purley fills the void between traditional and modern shaker kitchens. 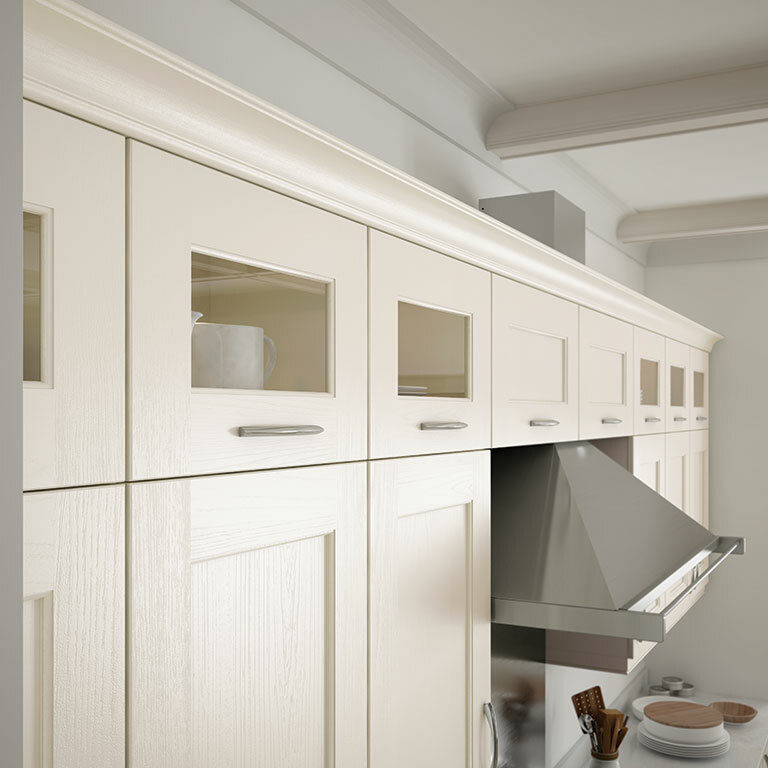 For a traditional look, choose Georgian framed glazed doors, a canopy above the hob, benchpost pilasters and drawer fronts with centre panels. If modern is more your thing, team flat drawer fronts with square end pillars and single pane glazed doors, as shown in the image here. This kitchen uses the available paint palette to great effect, combining 3 natural tones which complement each other perfectly. The Lava cabinets look stunning next to the brushed chrome appliances, and an Oak breakfast bar and pale wood flooring inject the perfect level of warmth needed. Brushed chrome handles and Oak chopping boards are impeccable accompaniments.